Changes associated with sun damage, facial aging, and genetics can result in wrinkles, lines, bags, and puffiness around the eyes. This contributes to an overall tired or aged appearance of the face. Eyelid surgery, or blepharoplasty, helps to restore a more youthful and rested appearance to your eyes and upper face. It can also improve your vision if you have excessive upper eyelid skin that interferes with peripheral or superior visual fields. 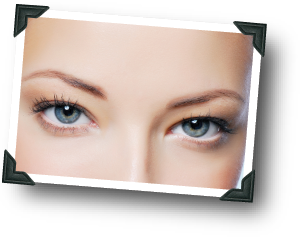 A blepharoplasty can involve the upper lids, the lower lids, or both. The surgery can be done under sedation or general anesthesia and typically takes 1-2 hours. Incisions are made in the natural creases in the upper and lower lids and are very well hidden once healed. You will experience minimal discomfort after the operation. However, you will have bruising and swelling that may last 1-2 weeks. Make up can be worn starting at one week after surgery to help conceal any persistent bruising.